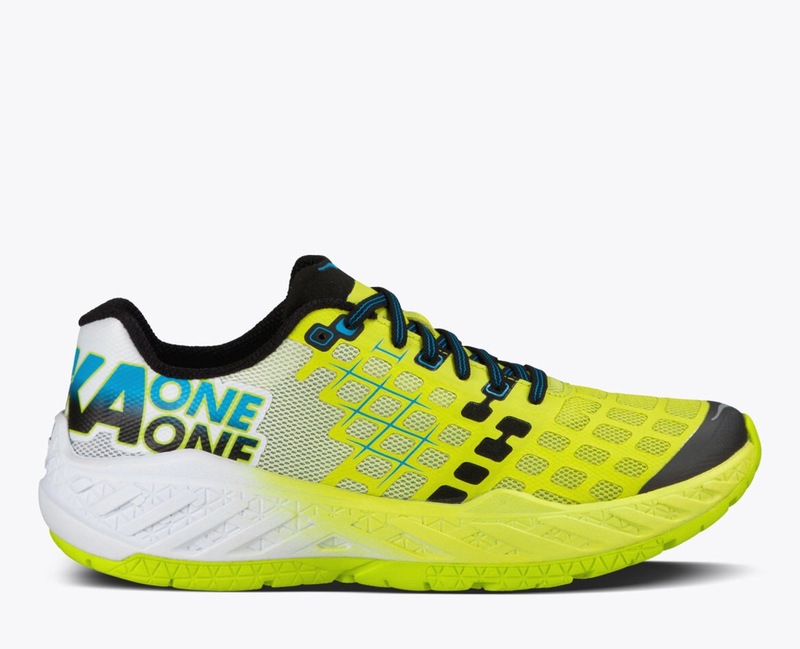 Being an ardent fan and supporter of the Hoka Clifton’s, any other shoe for me just won’t do. I do use the Speedgoats for the trail but only the trail. My Cliftons have helped me in all my runs since last fall. I have been through 2 pairs now since starting with them in October and as I have pointed out, my knee pains are gone and now I only deal with normal runner injuries. But last week, I took a chance! Yep, I purchased another name in the Hoka Family: the New Claytons! I have only run about 30 miles on them thus far but I can say the following: I am hooked! These shoes are not like my Cliftons and will not replace them. However they will be a very good compliment for the following reason: they are much better for speed work and shorter distances. They feel snug and are lighter than a feather it seems. They are not as cushioned as the Cliftons but have a better feel to the ground given their structure (foam around the foot). This has allows me to put more power into my forefoot strike and that has generated more speed! So is this a competition between shoes? Nope. These two are “teammates” “partners in crime” and whatever else similar to such. I am excited to have both in my posession and I think it will continue to help me improve as a runner! As for some things that are randomly crossing my mind, here they are! Aftershokz are great! I have been training with those now for about four weeks. I will have an more expansive review up on them sooner than later but they have worked well on my head and if it weren’t for a crappy iPhone, they would be perfect (or almost such)! Running the Hat Trick! I am running the Runners World Classic Hat Trick in about 2 months and excited to do so! (Btw, if you use the code RAVE, you can get 10% off the race fees). Will be like running the Reach the Beach Relay with three runs in 2 days. Garmin and Apple: honestly, I would like to see these two companies get together, air out through grievences and work to improve the customer experience versus tbis nonsense that occurs each time there is an update to the IOS platform! Take’s time and energy to figure out how to get the two devices linked each time and that is driving me up the wall! 1500 followers are in sight! I have seen my followers on Twitter move from a few to almost 1500 at last report. Thank you everyone! Hopefully you enjoy the material! Chia: Wondering if anyone else out there uses Chia on a daily basis. I have incorporated it into a daily drink to drive my fiber levels but from an energy persepticve, I am just not seeing it. Perhaps the folks in Born to Run were using a different Chia? That’s about it. Thank you for Reading! Next Post Chat Recap: Raving about Gear! Pingback: Chat Recap: Raving about Gear!